Several thousand pairs breed in western Europe, but especially in winter Pochards are present in much greater numbers. The male is grey with a reddish-brown head, the female is greyish brown. 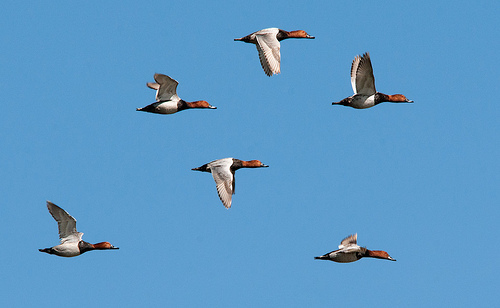 The females are easily confused with other species of ducks, but fortunately the Pochards often swim in large groups of males and females together. The Pochard has a greyish-blue bill, the Red-crested Pochard has a red bill. The head of the Red-crested Pochard is orange instead of red ! 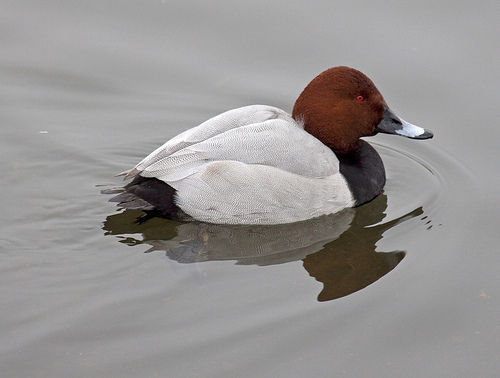 The Pochard has a red head, the Greater Scaup has a black head.